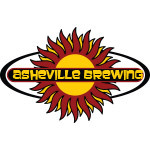 Award winning micro brews, great food and smiling faces; Where Asheville locals go to kick back. Three locations with different offerings: check out our $3 movies on Merrimon, our huge patio on Coxe, and our carry out / delivery on Hendersonville Rd. Open Daily: 11 a.m. – 12 p.m. Lunch Buffet: 11 a.m. – 2 p.m.